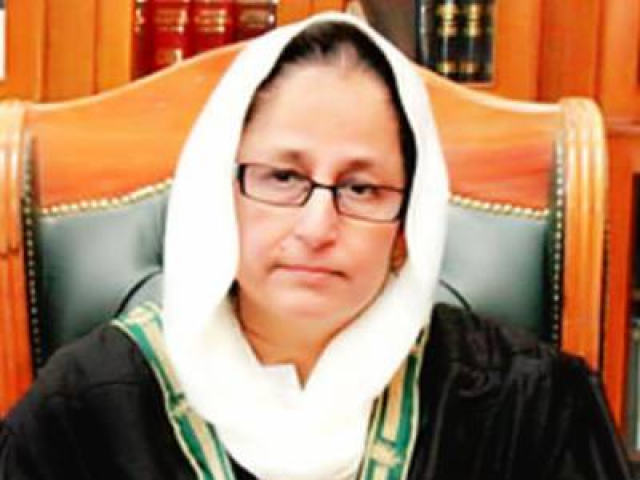 QUETTA: The first woman chief justice of Balochistan High Court (BHC), Justice Tahira Safdar, took oath of her office on Saturday. On July 31, the Judicial Commission of Pakistan (JCP) had unanimously approved the appointment of Justice Syeda Tahira Safdar as the chief justice of the BHC. The JCP meeting was chaired by Chief Justice of Pakistan (CJP) Mian Saqib Nisar. Former BHC Chief Justice Muhammad Noor Meskanzai retired on Saturday, after serving for almost four years. Justice Tahira Safdar was born on Oct 5, 1957 in Quetta. She is the daughter of renowned lawyer Syed Imtiaz Hussain Baqri Hanafi. She made history in 1982 when she became the first woman civil judge in Balochistan. She later earned a master’s degree in Urdu literature from the University of Balochistan, as well as a degree in law from the University Law College, Quetta, in 1980. On March 1, 1996, she was promoted to district and sessions judge. She also worked as a presiding officer in the labour court. She was appointed a member of the Balochistan Services Tribunal on Oct 22, 1998, and worked in that capacity till she was appointed the chairperson of the Balochistan Services Tribunal on July 10, 2009. While working as chairperson, Justice Tahira Safdar was elevated to the position of additional judge of the high court on Sept 7, 2009, and confirmed as a BHC judge on May 11, 2011. She is currently a member of the three-judge special court conducting the trial of former president Pervez Musharraf for committing treason by proclaiming a state of emergency on Nov 3, 2007.